I’ve decided to go palm free so need to figure out a good swirling recipe to use that doesn’t contain palm oil. Tonite I tried out a recipe and worked really well. It gave me plenty of time to color each individual color and get the swirling done. I always do a bit of a water discount especially with recipes high in olive oil because I don’t want to wait forever for the soap to set up to be unmolded and cut. I just did a sort of free form swirl. As you can see I just poured the soap randomly. And then I took a spoon handle and swirled. I muddied it up a bit…but it turned out okay. This recipe worked well. The shea butter sped things up a bit but I still had time to swirl. I think tonite I’m going to just try a olive, coconut and something…maybe avocado, sweet almond or apricot kernel. How many pounds did this make??? No one should ever use palm oil sourced from the destruction of the rainforest and cruel maiming of animals from the means that palm oil is farmed. I’m shocked how many people still use it in their soaps who have no idea. 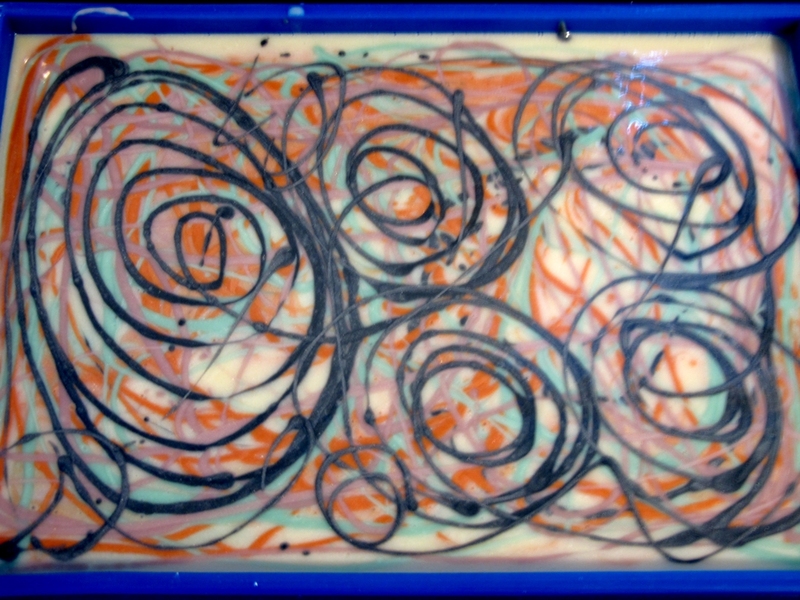 Soap crafting is a skill and an art and where soap makers take pride in knowing what goes in their products. It is inexcusable that they use palm oil without knowing where it is sourced. 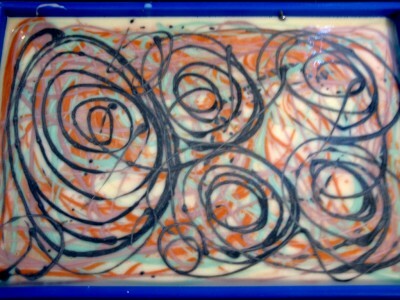 Beautiful swirls 🙂 How did you like the feel of this soap once it was cured? The only palm free soaps I make are Castille, and a Bastille. Thanks for sharing this great recipe Amanda! I will try in my next swirl. I was actually here looking up your info on ‘water discount” – you made it SO easy to understand! I did my first major discount of 40% today – woa! Talk about a learning curve! Then I found your info (I don’t know why I didn’t think to look before). I’ll try the easy peasy 33% here in a minute. And on the Palm issue. I’ve been thinking about going Palm free – probably will not purchase more after what I have is gone. But, I’m having a hard time not wanting to use PKO. I do like locally sourced, pasture fed tallow tho for non vegan soaps and those who don’t mind. Seems like such a waste not to use it. Regardless, thanks for sharing your recipes and giving us alternatives. Best Wishes! Hi Vanessa – shea butter can make things move a bit quicker depending on a couple of things. Temps – if your temps are too low then you’ll start getting a thick trace with is actually a combo of trace and the shea butter thickening as it cools a bit. And the amount of shea makes a big difference in a recipe. This swirling recipe with shea definately moved faster than my old swirling recipe with palm, coconut and olive. Water amounts also make a difference. If you want your soap to stay looser longer, don’t water discount that much. Beautiful! 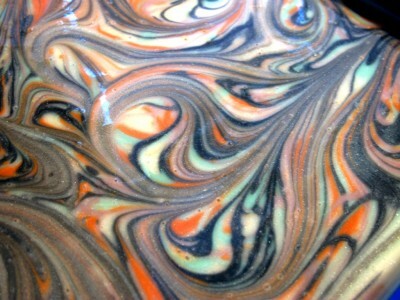 I Love the swirl and colours! I too have some palm oil free soaps in my range for consumers who choose to not use any palm oil at all. I also find that the palm oil free soaps much quicker to make, as I am not waiting for the palm oil to melt. 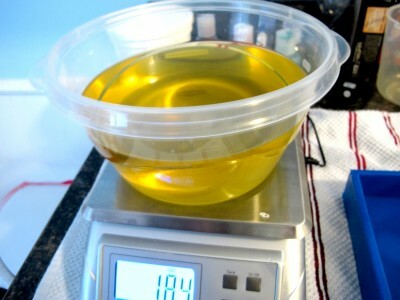 I soap at almost room temperature and rice bran oil as the main oil and yes, I have to move fast before it sets up. 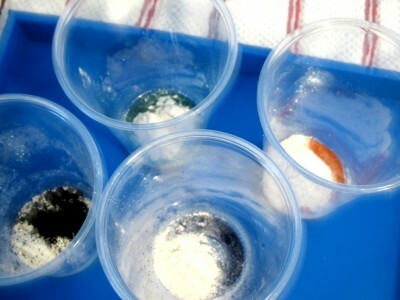 At what temperature do you start pouring your soaps? Mine tend to get hard before I’m through. What am I doing wrong? Pat – it could depend on a number of things. I don’t temp but I would imagine that I’m around 110…maybe a bit cooler. What kind of olive oil do you use? Pomace olive oil can spead things up a bit also. Love your soaps and techniques. I am so inspired. I recently made a couple batches of shampoo bars…the soaps turn out great, except I have the hardest time knowing what my color is going to turn out like. Used nothing but pink in a Pink Sugar soap and it turned out orange then brown…I use micas and oxides and even soap safe colors. Hope to keep watching for tips on coloring soaps too. Yes, pink sugar is one of those fragrances that is always going to turn brown. Oxides are pretty easy to use as they are pretty stable. I’ll see what I can do about some coloring posts. Thanks for the idea! Amanda, Thank you SO MUCH for the water discount info! I made a palm free recipe using Avocado, Olive & coconut oils along with Shea Butter and it turned out great! I waited forever (well… forever for me anyway) for it to harden. It was so worth the wait! Fabulous creamy lather! I love it! Now I will use the water discount so I don’t have to wait as long for the result! Thanks again! Great! Let me know how using the water discount works for you! Hi Bronya – I’ve decided to go palm free because of the destruction the palm oil industry is causing to rain forests and to orangutans. I know some other soapers have also, so I’m just wanting to try out new recipes and share them with my blog readers. Your new soap looks great. I make a variety of palm free soaps as well and really enjoy them. The only tricky thing I find tricky is getting EO’s to stick with a palm free soap especially citrus and floral scents. How do you figure an accurate water discount? Hi Patti – you can use a lye calc if you want. I don’t use lye calcs to figure water. I usually do about 2 times my lye amount.